We want you to enjoy your hot tub or swim spa for many years to come. A few minutes effort every week is all it takes to keep your water crystal clear and your hot tub or spa looking pristine. 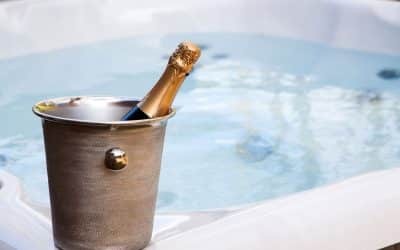 Having your hot tub or swim spa regularly serviced is vital if you want to preserve the life of your spa and keep warranties in place. As well as keeping the water at the perfect temperature, it will prevent leaves and insects falling in – and keep the lid locked if you have young children. Of course, never leave children unattended near your open hot tub. When you buy a hot tub or spa from Kiwi Spas, we’ll clearly explain what chemicals you need to keep the water germ-free, clean and safe. We can supply and recommend the best quality chemicals to help you care for your hot tub spa, including home delivery. A few simple daily checks will make sure your hot tub or swim spa water remains perfectly-balanced. Chlorine should be between 3-5 mg/l (ppm). You can easily adapt the level following the instructions on your spa’s Chlorine supply. The PH level should be between 7.2 and 7.6. You can adapt the PH level using the PH balancing tool. If the water ever appears foamy, use Hot Tub Anti Foam spray. We recommend adding the recommended diluted dose into a spray bottle and spraying evenly onto the surface of the water. This will kill and prevent germs and bacteria and reactivate bromine which has cleansing properties. This process is called “shocking” and is an important way to keep your hot tub spa clean and safe to use. We can advise you on the correct oxidising agents to help you shock your tub or swim spa. Use the special hot tub filter cleaner and allow it to dry thoroughly as this allows the fibres to bind together after cleaning. Put your spare filter in your hot tub or spa while you wait for the other filter to dry, so you don’t miss out on quality hot tub time! If you live in an area with hard water (high Calcium), add Hot Tub Scale Remover once per month. Most of the south east of England, including East and West Sussex, Hampshire and Kent have hard water so this will be an important regular task. Clean your hot tub cover with a weak solution of chlorine (3-5mg per litre) – every 2-3 months. 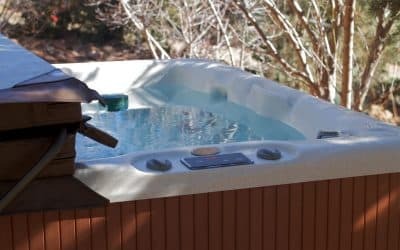 Replace the hot tub filters – every 6 -12 months. Change the water in your hot tub or swim spa – every 2-3 months, depending on usage. 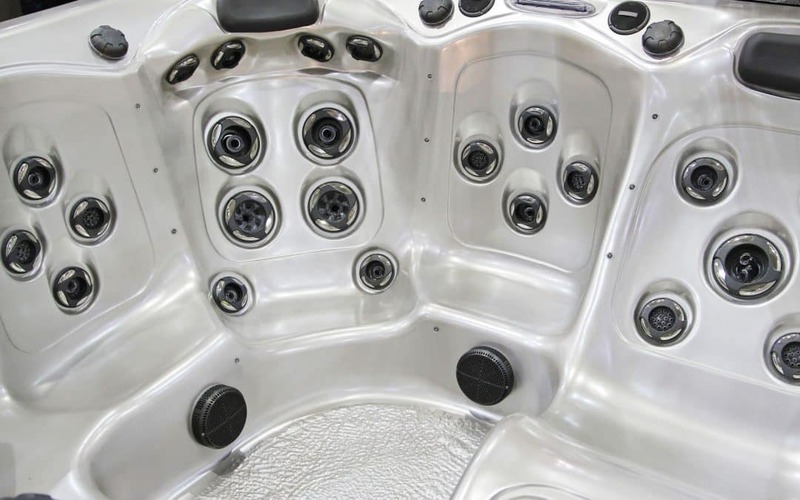 We offer a comprehensive servicing plan to give you total peace of mind and keep your swim spa or hot tub in perfect working order. Visit our Servicing page for details. 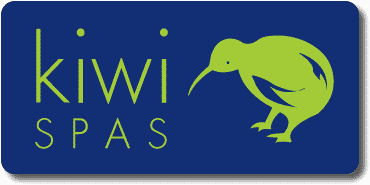 Kiwi Spas sell a comprehensive range of hot tub and swim spa chemicals which we import directly from manufacturers to keep prices low.